I plan to do a full review regarding my new TaylorMade Burner SuperFast 2.0 and its performance on the course very soon, I just want to get at least one more round in, in the spirit of thoroughness. However, I have to share this story with you of my round today simply because I am proud of my performance (and of the TaylorMade Burner SuperFast 2.0’s). 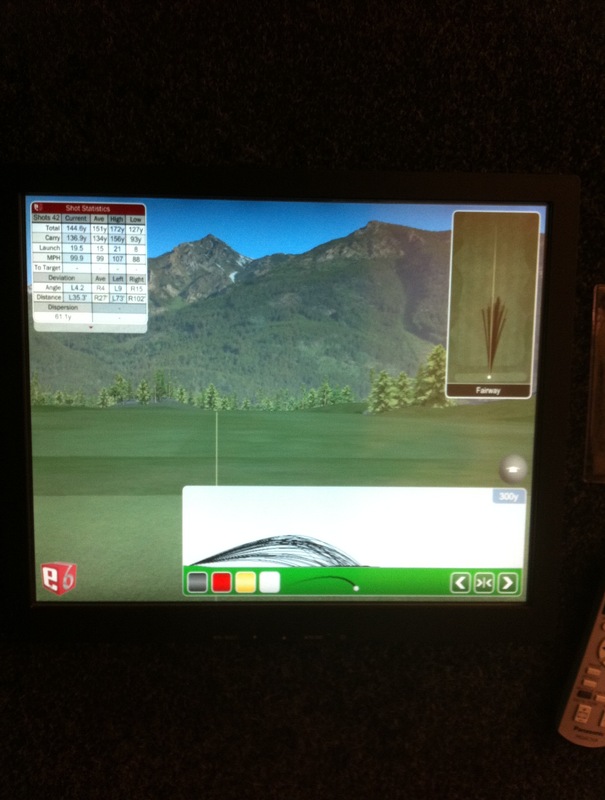 As you may know by now, my average drive is around 150-170 yards, so for many par 3’s I have my driver in hand. I was looking at this particular par 3, hole 17, for about 15 minutes before the foursome ahead of me finally vacated the green. As they were doing so I head a rumble. Note the clouds in the distance. Well, that was it, I could be patient any longer. I suddenly had visions of the scene in Caddyshack where the priest gets hit by lightning as he’s having the round of his life! I had 2 holes to go and of the three proir par 3’s I had driven them on a rope right at the pin with this TaylorMade Burner SuperFast 2.0! So I had to get going! 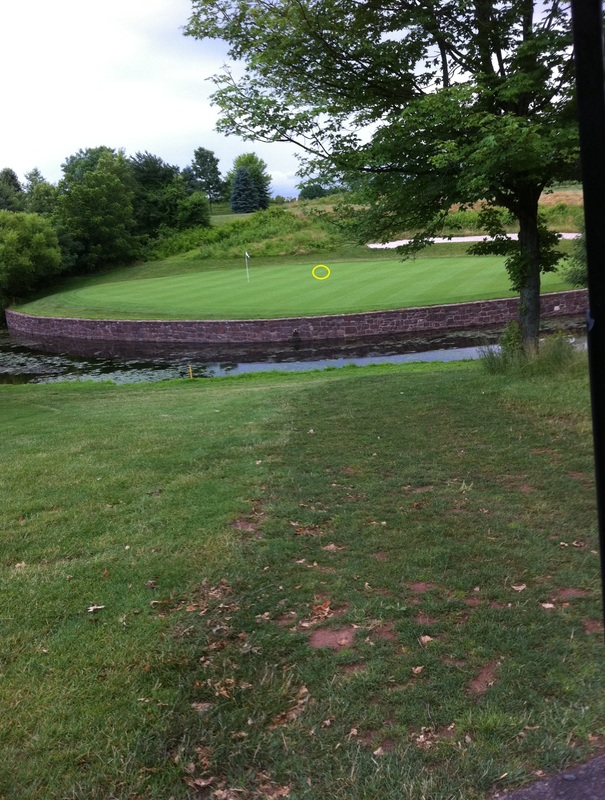 I teed it up and for the third time, on a rope, right at the pin! 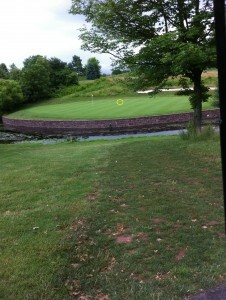 See below the ball circled in yellow, not bad off a driver huh?! With the impending storm, I did not have much time for a quality photograph of my epic green landing, additionally, I was on a mission to catch the group ahead of me to ask if I could hit off with them to complete me round and post my score. I rushed down there and pulled my birdie put, but made par and I was able to catch them just as they were about to pull away. I asked hastily if I might hit off with them so as to avoid the storm and they agreed. I had been bearing down on them for about 5 holes to this point. I was in “The Zone” as some call it, where I was focused both on the many great shots I had hit with this driver and on not getting killed in this storm. With very little regard to the fact that I had a small gallery now, I teed the ball up, went about my routine, standing behind the ball, picking my target, stepped up to address and ripped it strait to the middle of the fairway! To which I heard my small gallery let out a soft, harmonious, “wooow”. Right there I smiled quite proudly and said, “thanks fellas” as I trundled back to my cart and on to kill a 3 wood to just 20 yards short of the green. 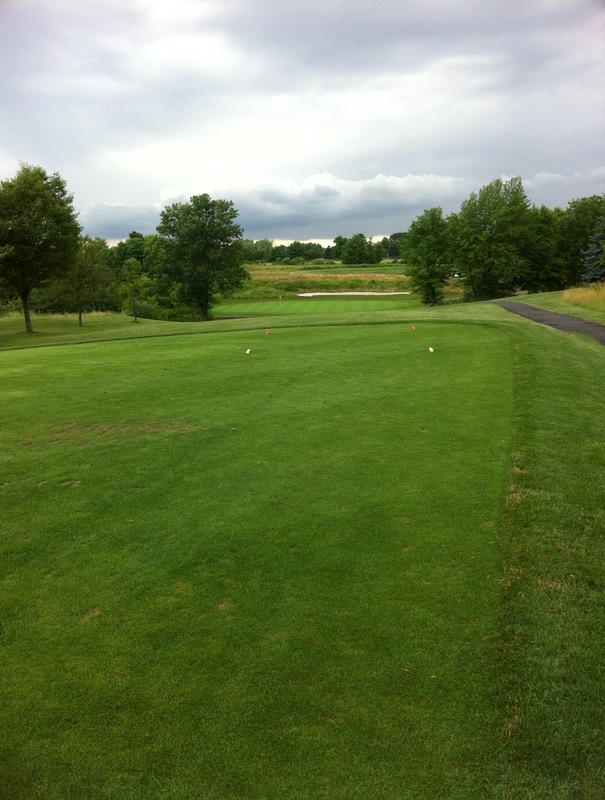 I may not be the longest off the tee but I can kill that third ant from the right in the middle of any fairway! Thanks TaylorMade for helping me have that proud moment! Again, one more round and I will expand in detail my thoughts on TaylorMade’s new piece of hardware, but I think you can guess how I am feeling thus far. Great stuff, Jay! Glad you are roping it with the new driver! You and I both Ryan! Haha. Thanks for the comment!